The Living Room: THE LIVING ROOM RECOMMENDS! 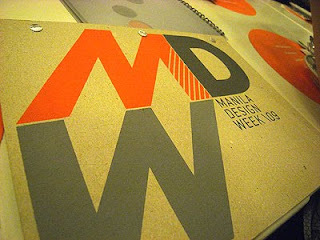 The city has become just a little bit more awesome with the coming of Manila Design Week. Starting this Saturday August 8, the good folks over at Team Manila will be hosting a conference that will not only highlight the achievements of Manila's design culture but hopefully spur the city into its rightful place as one of the design and thought capitals of the region. I am honored to be part of the Design Dialogue which will be held next week. I, along with a few others hope to find a road map for the city's future. We will try to create a Manila-festo, so to speak. Hope to see you guys there. Don't call me for tickets though. Contact folks at the website. Only seventy slots available. Design Dialogue: an intimate discussion between communicators on the subject of national identity, visual and otherwise. Design Dialogue is part of the week-long roster events ----exhibits, conferences, competitions and concerts--- for the first annual edition of Manila Design Week: the biggest graphic design festival the Philippines has ever seen. In keeping with this mission, Design Dialogue shall invite 70 of the country’s biggest movers, responsible for the best and most effective work in the media today.All of them necessary to achieve our objectives for Design Dialogue, and put them into practice in real, patent ways. To showcase the best creative initiatives for social responsibility. To figure out how we should brand and market ourselves internationally. Manila Design Week happens from 8 to 15, 2009, www.maniladesignweek.com. Oko kubonakala kuyilo, bokushicilela, ushicilelo & ukwenziwa xưởng in giá rẻ kweemveliso ezigqityiweyo. Ngaloo ndlela siba namava ngakumbi nangakumbi, thiết kế in ấn giá rẻnjengoko abathengi sisitshixo kwimpumelelo, igalelo ingxelo inceda abathengi bethu babe epheleleyo công ty in nhanh lấy ngay kunye nokuzeyisa yokuvuka njengenye abenzi ezaziwayo ekhaya nakumazwe ngamazwe. افضل واحدث الماكينات والمعدات والاجهزة المستخدمة فى كافة مجال التنظيف فشركتنا لديها الاجهزة التى تعمل بالبخار من اجل تنظيف السجاد والموكيت بطرقة علية ومميزة جدا وهز مايجعلنا متميزون فى هزا المجال عن باقى الشركات . فنقوم بتنظيف الجالس واعطاءها مظهر رائع وجزاب وكانها رجعت جديدة وكزلك الكنب والانتريهات والستائر . كما ان الشركة لاتنسى بيوت اللة فنحن نعمل على تنظيف سجاد المساجد وتلميع جميع جدران المسجد وننظف ايضا الحمامات المتواجدة داخل المسج وننظف الدرايش وكل ما يحتوية المسجد والمساجد لها سعر خاص جدا وخصومات .. Cool to get new ideas.